Are your a nerd and proud? Then show everyone with this wall sticker. 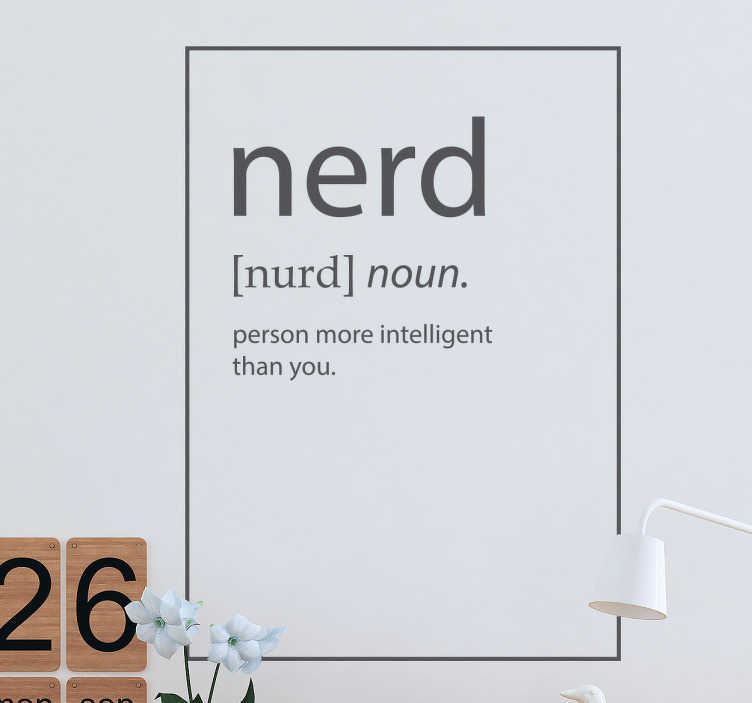 The wall sticker consists of the definition of the word "Nerd" written in a dictionary layout. Decorate your room with this funny wall sticker. Guaranteed to make people laugh. This sticker is available in different sizes and colours.